We performed a mathematical analysis of the dependence of the final concentration of ATP in the brain tissue of animals on the activity of oxidative mitochondrial enzymes. We constructed a mathematical model that approximates this relationship under different conditions of the body’s vital activity. 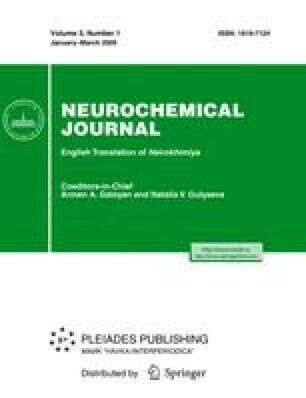 The model proposed helps to calculate and predict the energetic state of the brain during mitochondrial dysfunction of the respiratory chain induced by hypoxias of different severities. Original Russian Text © A.N. Moshkova, E.M. Khvatova, I.A. Rusakova, 2009, published in Neirokhimiya, 2009, Vol. 26, No. 1, pp. 51–55.